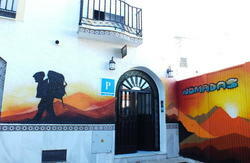 We are the only Malaga hostel in the heart of the future bohemian Soho. We are extremely centrally located between the seaport and the Alameda Principal (In the Historic Center). Really closed to 34 buses stops and 5 minutes walking from the train stop. From the airport, you have a bus running every 30 minutes from the arrivals to Malaga Bus Station. Then you need to go 10 minutes walk to city centre. 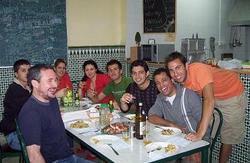 The Hostel is located close the Malaga Port, calle Larios, which is the main street with all shopping and bars.